The maths papers below illustrate a cross section of the type of topic which pupils in this age range might encounter. Pupils in this year need, not only to work correctly, but to prepare for future examinations by working to time with speed and accuracy. They should be confident with the four operations (add, subtract, multiply, divide), using 3 and then 4 digits. They also need to be able to show the process used and how they reached the answer. This is important because marks are often given for the method used to obtain the correct results. Learning will include fractions, decimals, percentages, area and perimeter of shapes. Pupils will learn to convert units of measurement, to draw and measure angles and calculate the size of missing angles. These worksheets demonstrate typical year 5 work. 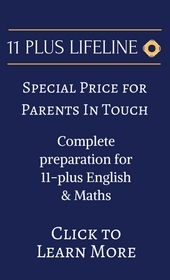 At this level your child will be taught many aspects of English which will include: accurate comprehension (including inference of character's actions and feelings) of written passages, thinking about figurative language and how it is used. Correct spelling (including prefixes and suffixes) which indicates a good grasp of English vocabulary, use of all the tenses (and time connectives) and the ability to use imagination in both story writing and descriptive work are all important. The papers below illustrate a cross section of this work which you can follow up with other pages from the site.